If you want to improve your smile and facial esthetics by getting your teeth straightened out, then you should consider getting braces. Dental braces are orthodontic appliances that are bonded to your teeth with the help of an adhesive cement, and bring about tooth alignment and straightening by generating controlled forces onto your teeth. Orthodontic braces contain a slot inside them through which passes a metallic wire made from stainless steel (SS) or Nickel Titanium (Ni-Ti). 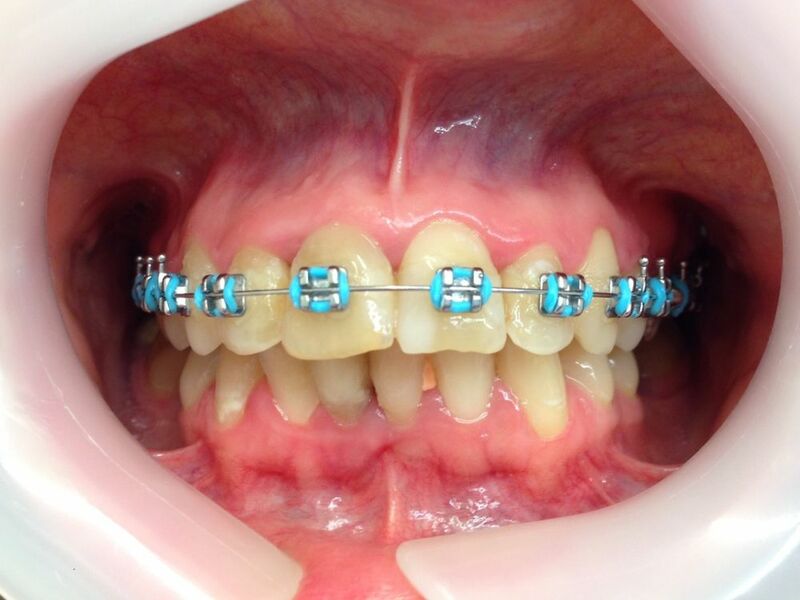 The tension of the this orthodontic wire is adjusted precisely so that it generates sufficient forces to bring about tooth movement in the required direction and angulation , but at the same time it does not damage the teeth and the gums. 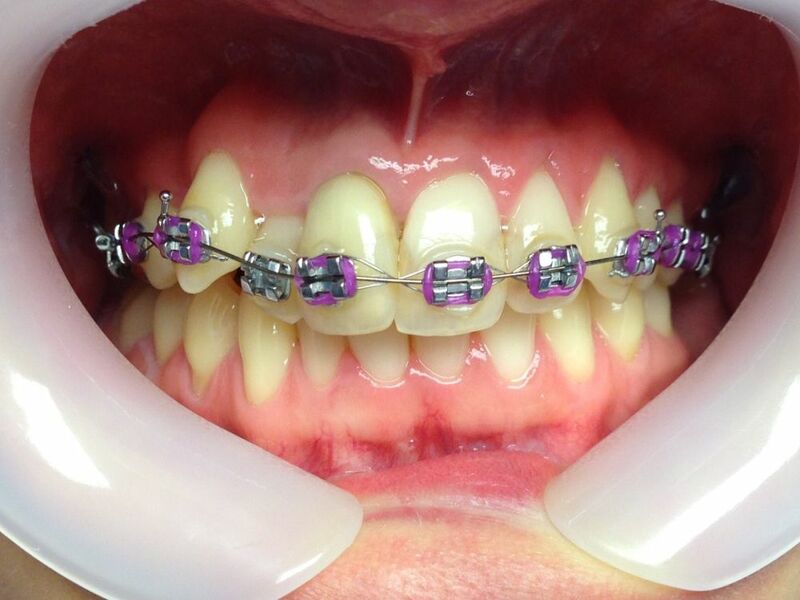 Conventional Metallic Braces – these are the most commonly used types of braces. However, their use is gradually declining due to their unaesthetic metallic appearance and their potential to cause injury of the tongue, cheeks. Ceramic Braces – these braces have better esthetics due to their tooth colored appearance, and are therefore gaining popularity these days. 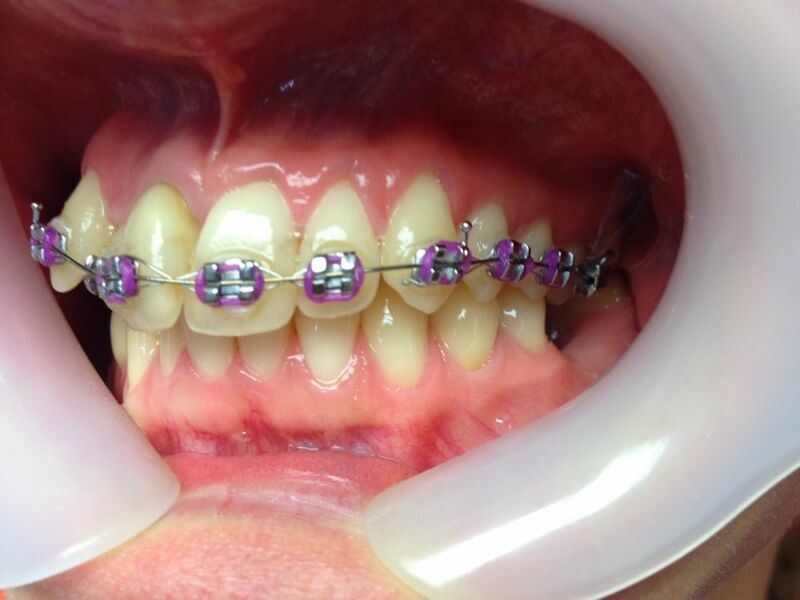 Some of the ceramic braces systems even use transparent or tooth colored wires to make the braces less visible. 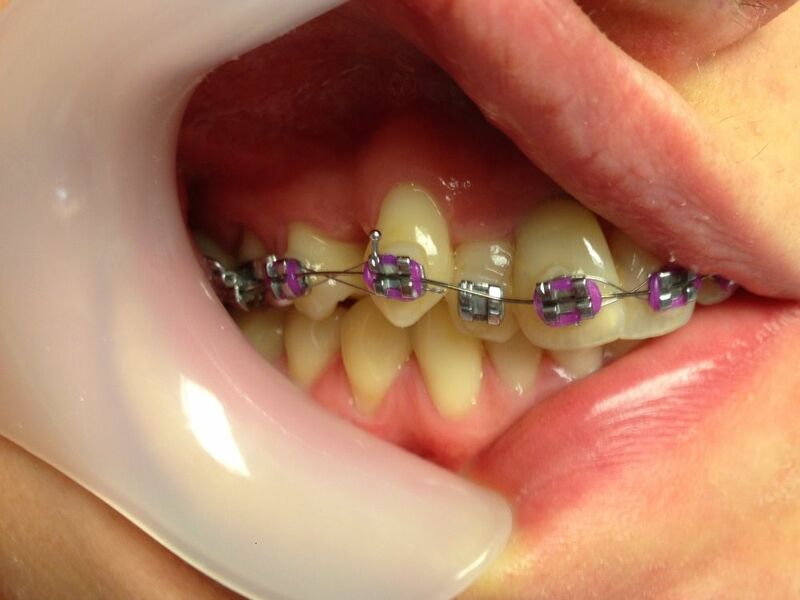 Lingual Braces – many people do not want to wear brace that are attached to the front of the teeth. As a result, lingual braces have been introduced that are attached to the back (facing the tongue) surface of the teeth so that they are not visible whenever one smiles or speaks. What Problems Can be solved with Braces? Tooth Misalignment – misaligned teeth can ruin your smile! 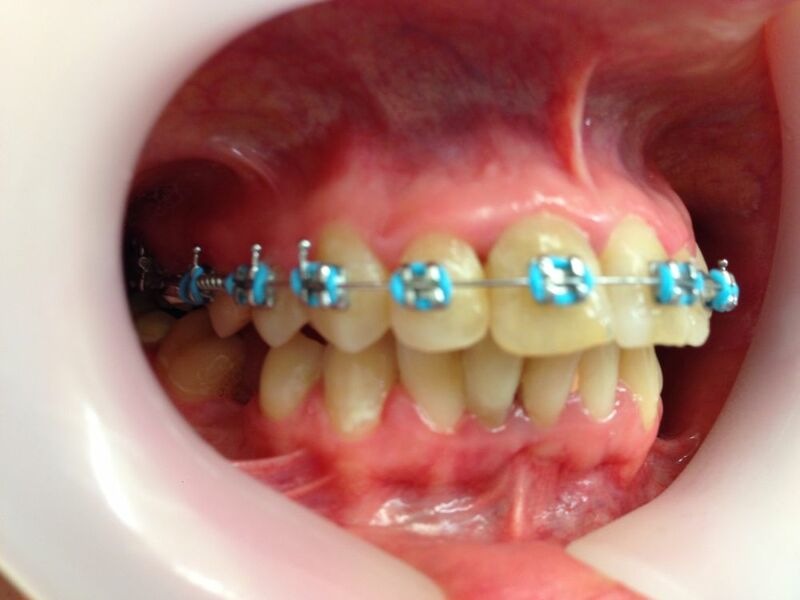 Don’t worry, they can be re-aligned with the help of braces. Bad Bite – improper occlusion of your teeth not only disturbs your smile, but can also create difficulties for you in eating and speech. What Happens if You Have Misaligned Teeth? Abnormally aligned teeth can result in several problems. Due to crowding of the teeth plaque and calculus can deposit on your teeth, which can result in the development of gingival and periodontal problems. If the condition goes unchecked, it can even result in the infection of the jaw bones and may ultimately require extraction of the teeth. The duration of treatment mainly depends upon the severity of your case as well as your adherence to the dentist’s instructions regarding the care of your braces. However, a mild to moderate case may take from 6 months up to a year for complete treatment. A charming smile and beautiful appearance awaits you! All you have to do is to visit your dentist today and get your braces! Wikipedia has an extensive reading about braces, check it out or call our dentist, we are here to give you advice! Many people have issues flossing their teeth effectively. However, we recommend going to Water Flosser Guide to for advice on how to clean your teeth while you have braces. You can check out our fees here, metal brace appliances start from £797.